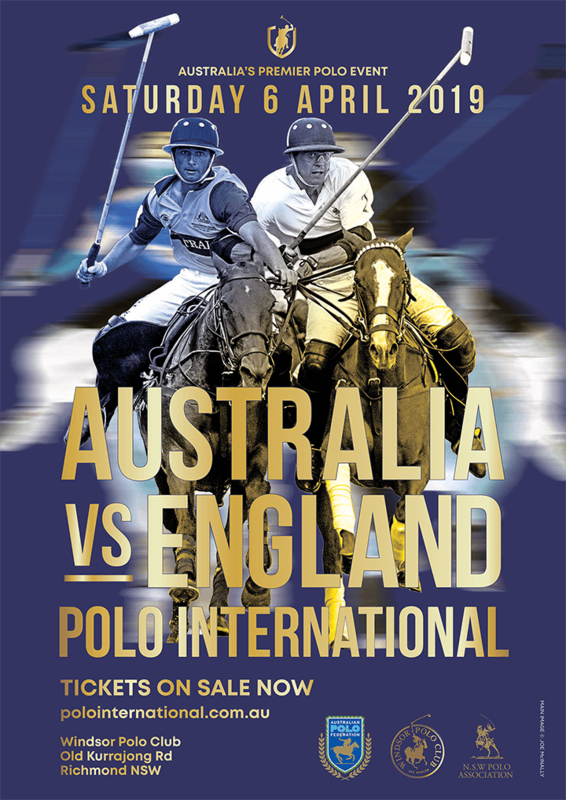 The Polo International in 2019 will take place at Windsor Polo Club, where Australia will take on England on Saturday 6th April. The club will be creating a festival environment both on and off the field with the PurePolo Market place - a retail laneway offering brands the opportunity to sell, sample and showcase their products and services in a stylish yet relaxed atmosphere - Fashions on the Field, Divot Stomping, plus food trucks and various bars around the grounds. There will be activities for all ages! Corporate Marquees and branding opportunities are also available. The Polo International is the most prestigious event on the Australian polo calendar attracting teams & players from all over the world. The format for the event will be the same as the 2018 event, showcasing Australia’s young up and coming talent with the Colts match from 11.00am, followed by a Ladies match at 1.00pm, culminating with the fast, furious and intense main event at 3.00pm playing for The Mountbatten Memorial Trophy. Transport options, beverage lists and menus will be distributed in January. *Polo International event is STRICTLY NO BYO Alcohol.